For all of you who care deeply about my personal life (let's face it, I know you do, you read this blog, don't you?) I recently moved to Brooklyn! It's a glorious borough, and my neighborhood is very close to Manhattan, close enough to walk, in fact! Yesterday I had planned to meet a friend in Chinatown and opted to walk there instead of taking the subway (it only took 1 hour and 10 minutes to walk, and it would have taken almost an hour with transfers on the subway anyway). I walked across a bridge for the very first time to get there! I'd like to say it was the Brooklyn Bridge, but if I said that I'd be a liar, because it isn't true. It was the heavily graffiti-ed Williamsburg Bridge linking hipster-filled Williamsburg in Brooklyn with their hipster neighbors in the Lower East Side of Manhattan. On the way to Manhattan, I not only got some great views of the city, and a lot of much-needed exercise, but I witnessed an actual person dressed as an alien skateboarding by. What a sighting it was! Almost as thrilling as later in the day when I saw about 5 guys dressed as Ghostbusters parading through Lord and Taylor playing the Ghostbusters theme song out loud, and assuring all of us that they were "on it," no more ghosts of shoppers past! It was a sight to be seen. Oh wait, here's a picture! These noodles were featured on Food Network's Best Thing I Ever Ate. They are most definitely hand-pulled on the premises. What sounds like a face-pounding in the kitchen is actually the noodles smacking against the table as they are pulled and twisted. Very loudly. While a bit distracting to diners, it at least offers some comfort in knowing the noodles are super fresh. I would have loved to watch the action, but our table was no where near the entrance to the kitchen, so no peeking for us! We both chose to have the hand-pulled noodles in soup, as opposed to one of the stir-fried options. My friend had hers with the pork-stuffed fish balls, and I had roasted duck. The noodles were incredibly chewy, thick, and tasty. I LOVED the texture, and I loved how when looking at the noodles they were all ever-so-slightly different thicknesses and not perfectly even, a testament to how hand-made they are. The broth was also tasty and somewhat rich, with the addition of fresh spinach and scallions to add some brightness and to balance out richer flavors in the soup. Free tea also helped cut some of the richness of our meal. The fish balls were really interesting. I had never had them before, but I honestly really enjoyed it. The fish exterior was not very fishy at all, and the pork filling added just a nice bit of meatiness. Although it sounds kind of weird, it's not really. The roast duck was okay. The pieces were all on the bone, which made it a little difficult to eat with chopsticks, and the once-crispy skin was now soggy in the broth. The meat itself was moist and tasty, but I probably wouldn't choose the duck next time. My only complaint is that there was practically no service to speak of. We were handed menus, and then someone came and took them away before they ever took our order. We then had to ask for them to give us new menus. Later I asked for water, and the waitress never returned. Never. And it's a tiny restaurant, you can't really hide. We had to just grab a bottled water out of the cooler so I could have something to drink other than tea, and then of course pay for it. Fortunately it was only $1, but still. You definitely come here for the food and NOT the service. After our meal it was time for dessert. My friend's favorite bakery didn't have the sweets we were seeking, so we ended up at this fabulous ice cream shop in the heart of Chinatown. How fortuitous! Even though it wasn't a warm day, that didn't stop us from indulging in an icy treat. We shared a scoop of red bean ice cream and a scoop of almond cookie ice cream. We loved them both! The red bean ice cream was pink, and if found anywhere outside of Chinatown would have been mistaken for strawberry just by looking at it. It wasn't. Instead it had a very mildly sweet and delicate flavor. Meanwhile, the almond cookie ice cream was much stronger in flavor and tasted of amaretto cookies. Amazing. Not only were these ice creams delicious, but they were light and fluffy as well, almost as if they had been whipped. You could see tiny air pockets throughout the ice cream. This lightness made the ice cream really stand out to me from other denser ice creams I've had in the past. This was a truly delightful difference, and I know this ice cream will definitely bring me back to Chinatown for more! After our afternoon indulgence, we did a bit of wandering. I wanted to find some Okinawan purple sweet potatoes, and after reading all the recipes that Maya at Foodiva had posted on her site recently, my mouth was watering. She suggested I try Chinatown, and since I was there already I knew this would be the perfect time to seek them out. After trying some Chinese produce shops with no luck, I ended up at the giant Hong Kong Supermarket at Hester and Elizabeth Streets. This is where my search ended. I purchased 2 beautiful, large purple sweet potatoes, each weighing well over a pound. I can't wait to use them!! This supermarket had so many items that I've never seen anywhere else, including durian fruit, which if you recall was one of my Chopped secret ingredients in my recent game of blogger tag. I guess I know where I can find it now in the unlikely case I want to purchase it! We tasted a few different flavors of rice pudding before we selected one. The coconut and pecan pie flavors were delicious, but I couldn't resist the tiramisu flavor! It tasted just like tiramisu with occasional chewy bits of rice within, loved it! We went with the "solo" which is intended to serve one, but it was more than enough for the two of us! I highly recommend sharing! They also serve their rice pudding in reusable plastic containers in funky flying-saucer type shapes, with lids that snap on, and futuristic spoons. I saved mine and plan on using it in my kitchen sometime :) If you love rice pudding, I definitely suggest you try Rice to Riches. It isn't super cheap, even for a small, but seriously consider the small enough to feed two people, and the price seems a lot less steep that way. This is quite possibly the greatest "don't use our bathroom" sign I've ever seen! Bravo!! Hahaha! After dessert #2, we continued our walk uptown and briefly stopped in at the Union Square Greenmarket. As I was already carrying some heavy purple sweet potatoes around, I didn't want to buy anything else and drag it around the city for the rest of the afternoon, but I did fall in love with the potato selection at one of the stands. I will be going back soon to pick up some purple Peruvian fingerling potatoes, because I'm just in a purple potato mood, I guess! After a lot more walking I ended up at Central Park for even more walking (by the end of the day I had walked 10 miles!). I really wanted to see the pretty foliage in the park. Back in the 'hood, on my way home I picked up a quick bite for dinner. Oasis is located just outside the Bedford Ave stop on the L line, and it was of perfect convenience that I stop there for some falafel. Oasis is the definition of cheap eats. I'm sure if you looked in the dictionary under "cheap eats" you would see a giant picture of a falafel ball with $3 written next to it, because that's all it costs for a falafel sandwich at Oasis. 3 FREAKING DOLLARS! For 3 freaking dollars you get a pita stuffed with hot, delicious falafel, tahini sauce, pickled cucumbers, pickled onions, pickled red cabbage, and pickled hot peppers (from what I could tell as I inhaled it). Hummus, baba ganoush, chickpeas, or parsley will cost you 50 cents extra for each, but at that price it makes very little difference to your wallet. This is definitely a great, cheap spot in Williamsburg - North Side for quick Middle Eastern fare that will satisfy your belly and your wallet just fine. Honestly, one of the most satisfying meals I've had in a long time. Although I've had my share of couscous, I had never been to a Moroccan restaurant before this experience, but this trip to Casablanca by way of the East Village was just the ticket. We started with hummus, which was great. The pita bread was incredibly thick, fluffy, and warm, and was a perfect counterpart for the hummus. I also had the blood orange martini which was vibrant orange in color, and didn't taste strong at all, just delicious! I knew immediately that I wanted to try a tagine for my entree, but there were so many delicious-sounding options. My friend had the lamb tagine with apricots and prunes, and I got the chicken with lemons and olives. When our food arrived, hers a lamb shank, mine a chicken breast, thigh and drumstick, I already planned on having leftovers... and yet, there were none. We both licked our plates clean, along with the tasty couscous that accompanied our tagines. I sometimes find couscous to be dry, but this wasn't, and especially with the flavorful sauces and incredibly moist meats, it was perfection. I felt addicted almost immediately. Looking at the food, it really is so simple and unpretentious, and yet the flavors are there, perfectly seasoned, perfectly moist meats, perfectly executed. It's about as exotic as comfort food can get! Our dessert, the kadayif, was pretty good, not exactly what we were expecting, but still an interesting and non-traditional dessert choice compared to some of the others on the menu. It was crunchy and sweet with a floral, lavender honey, some berries and a sweet, creamy dollop of mascarpone. A nice finishing touch to our worldly meal. I would definitely definitely definitely eat here again, and would happily order either of our entrees or try some of the other awesome-sounding dishes. Cafe Mogador was everything I thought it would be, absolutely lovely! I have several things to share today! Get excited... because the first one is a GIVEAWAY! Oh yes, Mission: Food is giving YOU exactly what you want. You mean, you don't know what you want? Well, that's okay because I'm giving away a $40 gift certificate to CSN Stores! You can pick out almost anything! They have over 200 stores in which you can purchase nightstands, blenders, and even train sets for kids, like my sister recently purchased for her son! Just visit CSNstores.com to check out the different stores. My favorite is Cookware.com :) Entering the giveaway is easy. There are several ways to enter, and you don't need to have a blog to participate. You can have up to 5 entries depending on how many of the following you do. Please leave a separate comment for each entry, but you don't have to do them all to enter! 2) Become a "fan" or "like" Mission: Food on Facebook and leave a separate comment telling me you did. If you're already a fan, just leave a comment telling me so. 3) Follow Mission: Food on Google Friend Connect (that cute little box with the faces to the right, that says "follow") and leave a separate comment telling me you've done it. If you already follow me on Google Friend connect, just leave a comment. 4) Subscribe to my RSS Feed (that funny radioactive looking orange box under where it says, "subscribe to" on the right hand margin) and leave a separate comment telling me you've subscribed. If you already subscribe to my feed, just leave a comment. 5) Follow me on Twitter @missionfood (click on the blue bird to the right) and tweet the following: "Enter to win a $40 CSN Stores gift certificate from @missionfood http://bit.ly/bp6BMV" Leave a separate comment telling me you've done this. If you already follow me, just tweet the above statement and leave a comment here. See how easy that is! Please remember to leave a separate comment for each entry (that's 5 comments if you do all 5). The giveaway will end at 11:59pm on November 4th (in 1 week). I will randomly select a winner! Good luck everyone!! News #2: I've been tagged again in another game of blogger tag, this time by Jill at The Homegrown Gourmet, another awesome blog I love! I will answer the questions because I'm a good sport, but since I've been tagged recently and already tagged a bunch of bloggers with my fun questions, I'm not going to tag more people. So just read and enjoy... or if you don't care what I have to say, you can just skip to News #3 below :) But aren't you just a little bit curious...? 1- What is your "cringe" food and why? I eat almost everything, but I generally hate dill. I hated how in Armenia people put it in everything, and so much of it too. Like it was going out of style. So unnecessary. There are few things that contain dill that I actually enjoy, but one of which is this cold vegetarian grape leaf dish that is SOOO good, but it's one of few tolerable dill dishes in the world for me. I can taste a drop of dill in anything, and thus I usually am disappointed after the first bite. 2-You are on an episode of "Chopped" and your mystery basket includes a durian fruit, langoustine, panetone and a bottle of Jagermeister. Since drinking the jager and passing out is not one of your options...what would you make? So first of all, I had to Google durian fruit, haha. Some accounts say it tastes like rotten onions (yum... not!) so I'm gonna go buck wild with this, and make a crazy mac and cheese. Kinda like lobster mac and cheese, I would use the langoustines as a mix-in, and use some diced up durian fruit in the base (maybe a mass of cheese will cover up the flavor and odor? haha), use some of the Jager also in the sauce (I'm sure a little goes a long way), and then finish it off with some fresh panetone crumbs on top! And of course bacon. I love sweet and salty with bacon-wrapped dates so maybe crumbled bacon with the panetone would add a salty sweet crunch which wouldn't taste too weird on the mac and cheese. I would probably lose, but given the randomness of the ingredients, I think it could be interesting, haha. Great question! 3- If you had to compare your life experiences to an episode of Doctor Phil or Jerry Springer...which would it be and why? 4- What is your most embarrassing food-related moment? Embarrassing? Can it be a drink-related moment? Well, there was one time when I lived in LA when some relatives called to say they were in the neighborhood and were going to stop by and visit. I was still in my PJs and quickly got myself together to greet them. I offered to make them coffee since I had nothing on hand, and was actually sick and not really up to visitors, but I digress. I had purchased this coffee maker a while ago and had never used it. My roommate used it all the time, but I hadn't, and so I didn't really know what measurments to use since I'm not much of a coffee drinker. In my defense I bought it to brew coffee to use in baking. So yeah. Anyway, I made them coffee and they drank it, and after they left I tasted some and it was the most disgusting cup of coffee I've ever tasted. And I served it to people. I felt SO bad!! They probably thought, "what's wrong with this girl, she can't even make coffee," but yeah, that was embarrassing. 5- If you were placing an ad on a singles web site what would you say about yourself? Vivacious brunette. Loves movies, food, and culture. Drinks beer and an occasional cocktail. Super organized most of the time. Enjoys a balance of city-life and nature. Loves to laugh and make other people laugh. Knows a lot of "stuff" and likes to tell stories. Once worked with famous people (and is slightly famous herself, or so she likes to think). May be a grown up, but never really wants to grow up. Thinks life is too short to be serious all the time. The most important thing in life is............. happiness. 7. The sorting hat would probably send you to which "house".....Slitherin, Griffindor, Ravenclaw or Hufflepuff? 8. In your own opinion, what is your most admirable trait? News #3: Oh, but there's more! 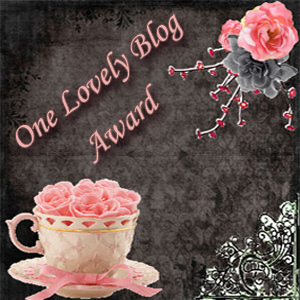 I recently got the "One Lovely Blog Award." Twice. I got the same award from two different bloggers! First, I got it from Alisha at The Ardent Epicure, and then from Beth at Of Muses and Meringues. Thank you so much, ladies! I appreciate it so much, especially since this is my first award ever, and I got it TWICE, haha! Like Alisha, I am going to deter from the "rules" of recipients reposting the award, yada yada yada, and instead just mention some of my favorite bloggers. If they'd like to pass it on, that's fine, but there's no rule :) I consider each of these blogs a must-read, easily some of my favorites on my blog roll. The people behind the blogs are so friendly and supportive of other bloggers as well. I really feel a sense of community when I'm reading their blogs. Not only do they create some amazing looking food, but they genuinely share a part of themselves on their blog. I think they are all deserving of some recognition. Some of these bloggers are even now my friends :) I'm not sure if I'm supposed to give the award back to the blogs that gave it to me, but either way you should check out both their blogs as well! Feel free to pass it on, or just revel in the love and popularity I have just given you :-D Either way works for me! I went back and actually read through all of the introductions, the "Baker's Pantry" section which highlights all the major ingredients and kitchen tools required, all of the chapter introductions, and a lot of the recipes. My worries were eased as I read Sarabeth's words, and suddenly felt the confidence I once had creating challenging pastries my friends and family wouldn't dare to attempt. In the "Baker's Pantry," every ingredient is clearly described, down the various types of flour and the amount of protein that each contains. A yeast conversion chart helps compare the differences between compressed yeast and active dry yeast measurements (all recipes requiring yeast are explained using both!). Sarabeth even explains why she chooses to use cold water instead of warm water to activate her yeast (it's a little different with the dry active yeast, which requires some warm water to help break down the hard shell around the yeast), because yeasted doughs that rise slowly have better flavor than those that rise faster using warmer water. Good things are worth waiting for, right? She also features an in depth discussion of the various tools required throughout the book, and suggests sizes, shapes, styles, and so on for pretty much every baking tool you could imagine. I love having her guidance, and I feel more comfortable attempting her recipes, knowing that she's right there beside me. In my 100-plus cookbooks, there are few that go as in depth as Sarabeth does in explaining every single step of the process. 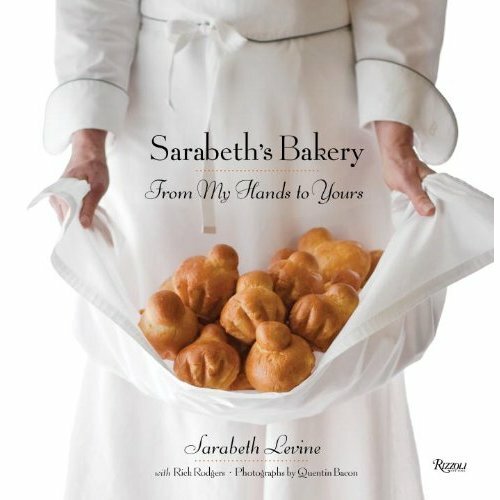 Each chapter introduction describes its contents and the methods required to produce the following recipes, everything from an incredibly detailed account for laminating dough for puff pastry, croissants, and danishes, to Sarabeth's fool-proof method for creating perfectly even cakes for layering. How, you ask? By baking cakes in sheet pans and then cutting them into circles. No need to trim bulging cake tops ever again! Even some of the scraps go to good use. How about her novel approach to simulating the effects of a professional proof box in a home kitchen. It's all there. Within the recipes as well, step-by-step photographs help round out the tutorial, in case the extensive written directions weren't clear enough. I love how well all the steps are described in this book. Whereas I felt a bit intimidated (me, can you believe it?) when I first skimmed through, all that melted away when I dove deep into the instructions and realized it would be difficult to screw anything up. 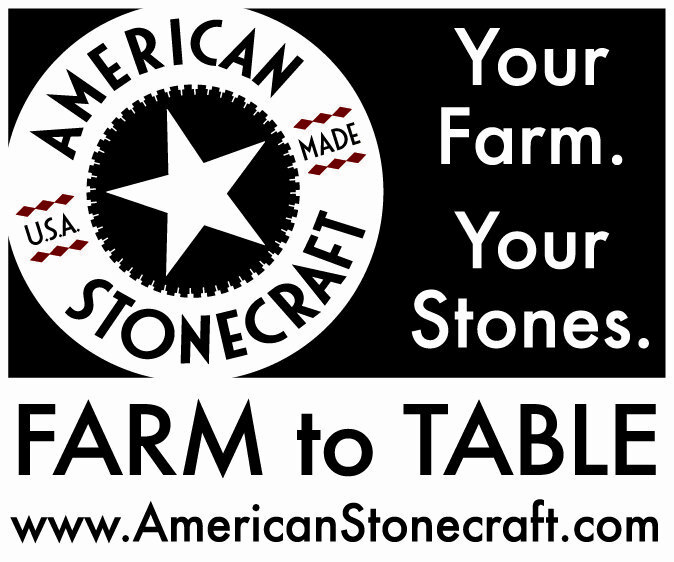 Are many of the recipes time consuming? Yes, but that is certainly expected in a baking book of this caliber. One doesn't purchase The French Laundry cookbook to prepare last minute, weeknight dinners. You know what you're getting yourself into when you commit to a book this detailed and refined. On the other hand, chapters devoted to muffins, everyday cakes, and cookies are pretty straightforward, and not as intense as the breakfast pastries, breads, and party cakes. I think the book has a great balance of recipes to fit different needs, different difficulty levels, and different time restraints. There really is something for everyone. While even the simpler recipes may call for some ingredients that people may not have on hand, Sarabeth does a great job in the "Baker's Pantry" section sharing why she has specified those ingredients. She explains why the different types of flour are so specific to their purposes, and how one can easily blend regular granulated sugar in a blender or food processor to basically create superfine sugar, which she uses in all of her recipes because it dissolves more evenly. I would also love to share that some of Sarabeth's incredible jams and fruit preserves are featured in this book! She doesn't share the original orange-apricot marmalade that helped her earn her fame, but she shares many others, along with details on how to safely and properly can your homemade jams. I also appreciate that she does not use added pectin in her jams. I agree that it is not necessary. Jams and fruit preserves were made for generations before pectin was ever sold on the market, and I don't see why now should be any different. Not only was I very fortunate to get a sneak peak at this marvelous cookbook, but I was a very lucky attendee to Sarabeth's book launch party and signing at Williams-Sonoma. I was not only thrilled to meet the woman responsible for the book I had been swooning over, but I was anxious to ask her some questions that had been stirring in my mind, namely the English muffin issue. An array of Sarabeth's treats were spread out across a counter for those waiting to have their books signed. These included cheese straws, chocolate chubbies, rugelach, pecan moons, palmiers, and linzer hearts. All but the cheese straws recipe are included in the book. They also had a basket of tiny jars of Sarabeth's fruit preserves, jams, and marmalades parked next to the signing station, a small token of appreciation to those who came out to celebrate this long-awaited book release. I selected the orange-apricot marmalade, since I've heard so much about it and now needed to finally try it for myself. I also asked her about the pain du matin recipe, which is normally made with croissant and danish dough scraps at the bakery, but is adjusted to use 1/2 a croissant dough recipe, and 1/2 a danish dough recipe in the book. Since both doughs are so time consuming, and if I went to the effort to laminate dough, in my wildest dreams I don't see myself trying two different laminated dough recipes simultaneously, I asked her if the recipe could be made with either/or, and she said it could definitely be done, and that if she had to pick one, she would suggest maybe making it with all croissant dough instead of all danish dough, because the danish is sweeter and richer because of the eggs. A great point to keep in mind since this is a delicious treat and I would love to try making it sometime! What a great experience! After reading the book, meeting Sarabeth certainly was the icing on the cake! I'm so glad I got to take my time with the book before the event, because I knew exactly what I wanted to ask her. I definitely wanted to test out some recipes too, and with limited time over the following weekend, I selected a couple I could attempt: Sarabeth's House Bread and Pumpkin Muffins. The bread was made with a mixture of whole-wheat flour and bread flour, and also contained honey, poppy seeds, cornmeal, sesame seeds, and sunflower seeds. It was very easy to make, and tasted amazing! I tried it plain, with Sarabeth's orange-apricot marmalade (holy crap, so good! ), and with strained yogurt. The bread was dense and had a slight sweetness from the honey. I would definitely make it again. The only problem was that I measured my loaf pans incorrectly (measured the bottom dimensions instead of the top) and it ended up being too big, and the bread didn't puff out over the top in the traditional pan loaf shape. Regardless of its shape, it was still delicious, and hopefully next time I will use the correct size loaf pan. P.S. the sheer variety in loaf pan sizes and the fact that different recipes call for different sizes (no standard whatsoever from cookbook to cookbook), and not all stores stock every size, is turning out to be one of my biggest pet peeves of the moment. I can't possibly buy two of every size loaf pan, just in case. Just needed to share. The muffins turned out beautifully, bright orange, dense and lightly sweet with an occasional sweet kick from the raisins. These were very popular, and my sister insisted they were her favorite pumpkin muffin ever. I used cake flour instead of pastry flour, because it is easier to find. I also just used regular sugar instead of superfine because I was feeling lazy and didn't want to get out my blender to grind the sugar :) It still worked great! My only note is that I filled my muffin cups very full as indicated in the recipe and photographs in the book, and yet I ended up with 17 muffins. They puffed up beautifully, but I can't imagine how I would have fit all that batter into 12 muffins. It would be cutting it close, for sure. In any case, the recipe still works out great and I would make this over and over again (especially this time of year... so what are you waiting for?!). They were so easy, and so delicious! Light, but filling. I am sharing the recipe exactly as it appears in the book. Ready to go in the oven! See how full they are? Bakers Note: If you use generous scoops of batter, the yield will be 12 muffins. For smaller muffins, use 7 muffin cups in each of 2 muffin pans. Distribute the batter in a random pattern (not in rows) in each pan so the muffins bake evenly. Butter only the cups that you are going to use, or the butter in the empty cups will burn. Position a rack in the center of the oven and preheat to 400 degrees F. Brush the insides of 12 to 14 muffin cups with softened butter, then brush the top of the pan. Sift the flour, baking powder, cinnamon, ginger, nutmeg, and salt together into a medium bowl. Beat the butter in the bowl of a heavy-duty stand mixer fitted with the paddle attachment on high speed until creamy, about 1 minute. Gradually beat in the sugar and continue beating, scraping the sides of the bowl often with a silicone spatula, until the mixture is very light in color and texture, about 5 minutes. Gradually beat in the eggs. Reduce the mixture speed to low. Beat in the pumpkin; the mixture may look curdled. In thirds, beat in the flour mixture, scraping down the sides of the bowl often, and mix until smooth. Add the raisins. Increase the speed to high and beat until the batter has a slight sheen, about 15 seconds, no longer. Using a 2 1/2 inch-diameter ice-cream scoop, portion the batter, rounded side up, into the prepared cups. Sprinkle the tops with the sunflower seeds. Bake for 10 minutes. Reduce the oven temperature to 375 degrees F and continue baking until the tops of the muffins are golden brown and a wire tester inserted into the center of the muffin comes out clean, about 15 minutes more. *Update 3/2/15* I have since made these muffins again and yielded 2 dozen muffins (I also used paper liners instead of simply greasing the pan). I definitely feel these muffins yield more than what is suggested in the book. Aim for 2 dozen. Also, they definitely don't need to bake a full 15 minutes extra once reducing the temperature. Another 10 may be more than enough.